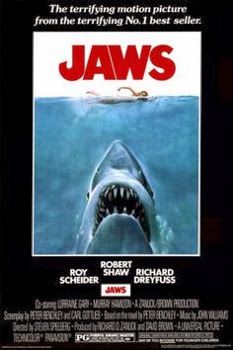 Jaws was released on June 20th, 1975. Filming locations include Martha's Vineyard, MA. to the 1st floor in 2002 and then rebuilt as it appears today. About a block down the street from the Amity P.D. is the Amity Gazette. but the curved table is easily recognizable. Bridge leading to the pond. Thank you and yes Martha's Vineyard is beautiful. I'd suggest visiting the island whether you're a Jaws fan or not. Great photos! We are going to Martha's Vineyard next week and wondered how you got around the island. We can't take our car as the ferry is full. Would you suggest bikes or the buses they have? Use the VTA. This is the bus for the island. $7.00 for an all day pass or $18 for 3 day pass. Can get the pass on the bus. Exact change needed. Wonderful post! Thanks to your pictures we were able to visit many of these sites on our recent trip to Martha's Vineyard- it was perfect, very accurate. We also made our way around with the VTA with our 2 daughters- it is economical, convenient, on time and clean. We enjoyed our visit very much. Thanks from fellow Jaws fans! I'm very glad to hear that you and your family enjoyed your visit to Martha's Vineyard. That's the main reason I started my blog in the first place, so anyone who has an appreciation for these movies could visit the filming locations and enjoy them while also seeing a piece of film history. That picture where shop is not correct. Unless you have posted a different angle. I was there a month and i was brought directly to the spot. I can post mine if u want. Must be a different angle then because I'm positive about the spot. Feel free to post yours though. Great Job!. Enhorabuena por tu trabajo, un saludo desde Barcelona-ESPAÑA. I am planning a trip to see my sister in Rhode island, and I am definitely taking a trio to the island. What true fan wouldnt. Thank you for mapping out the site's from the movie that terrified the world. My pleasure, Billy. Hope you enjoy the island!